The 2018 NMHS Seminar Series Schedule is here! Members of the general public are encouraged to attend! NMHS Seminar Series events are both a great way to learn about new facets of our maritime heritage and also to meet others who share an interest and enthusiasm for the field. There is no charge to attend the seminars, but a $5 to $10 donation at the door is appreciated to support our educational mission. We invite you to Sponsor the Series and take advantage of everything our sponsorship options have to offer – including a year of seminars AND family fun at maritime museums! Sign up online, call (914) 737-7878 Ext. 0, or email NMHS@seahistory.org today! with lectures starting at 11:00 AM. Unless otherwise noted below, all seminars are held at the Hendrick Hudson Free Library (185 Kings Ferry Road in Montrose, NY). On our Saturday seminars, if you would like to join NMHS and the speaker for lunch following the presentation, the cost is $25 prepaid, with cash bar. For more information and to register for any seminar, please email or call 914 737-7878 x 0. Can’t make it to a seminar? Be sure to Subscribe to our YouTube Channel to see the presentation online! Support the Seminar Series with a Seminar Sponsorship! A contribution of $100 or higher not only entitles you to a reserved spot for the complete 2018 seminar series, but also to a one-year membership in the Council of American Maritime Museums (CAMM), which includes free admission for a year to over 75 museums nationwide! (As a Friend of NMHS you’ll also receive the quarterly magazine Sea History, a 10% discount on NMHS merchandise, a membership card and decal.) Your generosity enables the Society to fulfill its mission by presenting a dynamic range of seminars that promote greater understanding of our rich seafaring heritage and create a constituency to advocate for our maritime legacy. Thank you! 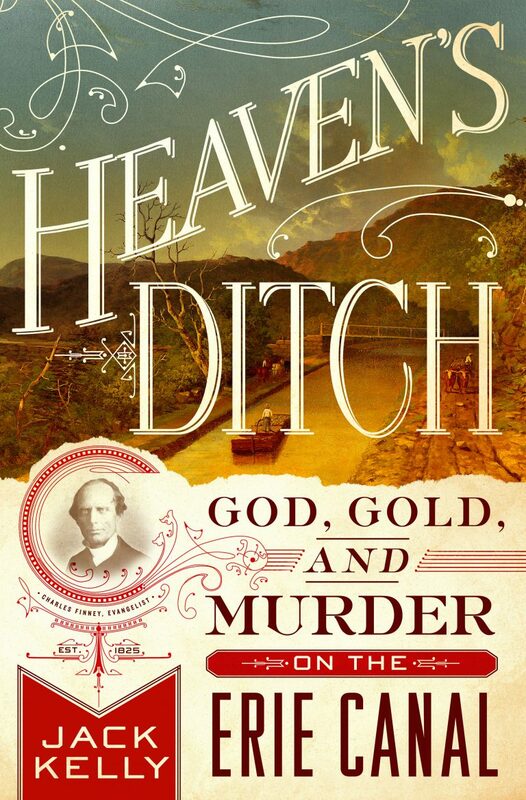 Author Jack Kelly offers a fresh look at a critical moment in American history as the nation celebrates the Canal’s bicentennial. A technological marvel of its age, the Erie Canal was the epitome of the can-do attitude of the age of the common man. The visionaries of the era didn’t just dream, they made things happen, building a 360-mile waterway entirely by hand. They invented new religions and new modes of living. The canal made New York the financial capital of America, brought the modern world crashing into the frontier and stimulated the nation’s commerce for decades to come. Location: Hendrick Hudson Free Library, 185 Kings Ferry Road, Montrose, NY. 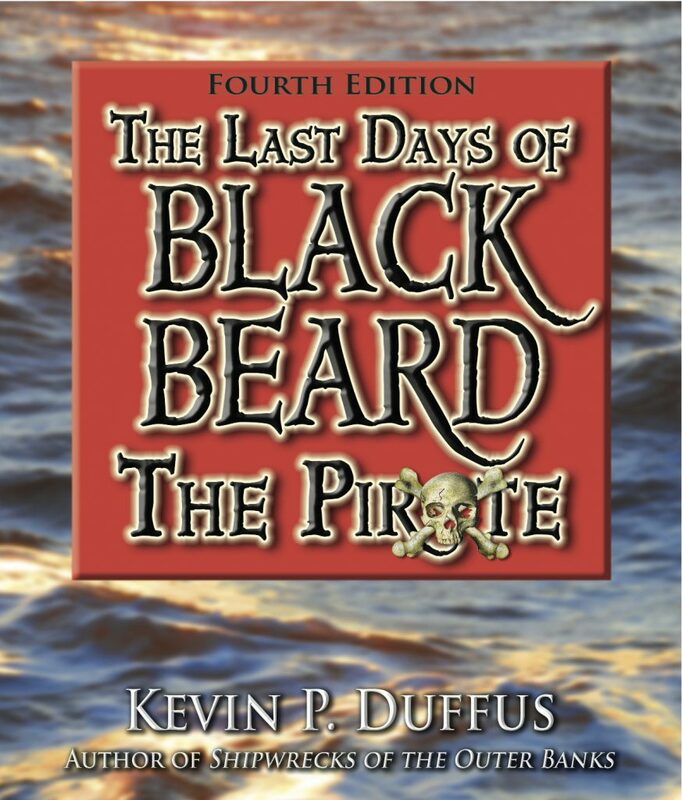 Join us as author Kevin Duffus presents Blackbeard’s Last Battle: the Conflicting Interpretations of his Origins and Motivations. The notorious pirate Blackbeard stands among the most popular figures of early colonial American history, yet no one still knows who he really was. To this day, his identity, his origins, and his motivations for committing acts of piracy remain in contention. Did he hail from England, Jamaica, or the Carolinas? Was his surname Teach or Thatch, or something else entirely? Was he an undistinguished common sailor suddenly thrust into command of a pirate ship? Was he a former Royal Navy sailor and an aristocratic, Anglican slave-owning planter who inexplicably turned Jacobite and pirate? Or was he an ordinary mariner on a salvage mission lured into piracy by a mob of looters, who later became a pawn in an attempted political coup in proprietary North Carolina? These conflicting interpretations have provoked rancorous debate among archaeologists and historians. At stake are the credibilities of monolithic institutions and museums, the reputations of researchers and authors, the financial stakes of publishers, and the future of a popular historical narrative. For more than 45 years, award-winning research historian Kevin Duffus has followed the wake of the notorious pirate’s journey through history. Along the way he has discovered startling clues and pivotal waypoints in Blackbeard’s odyssey that point to a startling conclusion—one that many scholars do not want the public to know. On January 25, 1917, HMS Laurentic struck two German mines off the coast of Ireland and sank. The ship was carrying 44 tons of gold bullion to the still-neutral United States via Canada in order to finance the war effort for Britain and its allies. Britain desperately needed that sunken treasure, but any salvage had to be secret since the British government dared not alert the Germans to the presence of the gold. Lieutenant Commander Guybon Damant was the most qualified officer to head the risky mission. Wild gales battered the wreck into the shape of an accordion, turning the operation into a multiyear struggle of man versus nature. 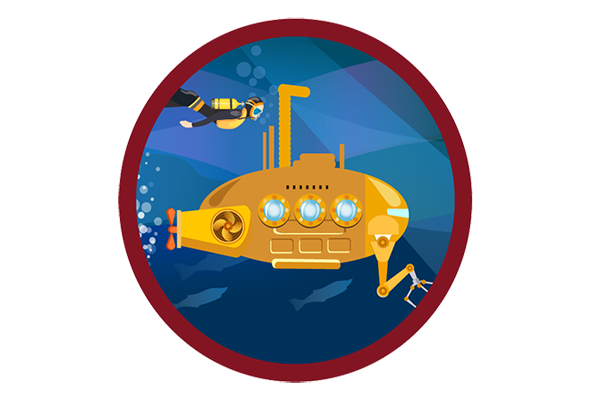 As the war raged on, Damant was called off the salvage to lead a team of covert divers to investigate and search through the contents of recently sunk U-boats for ciphers, minefield schematics, and other secrets. 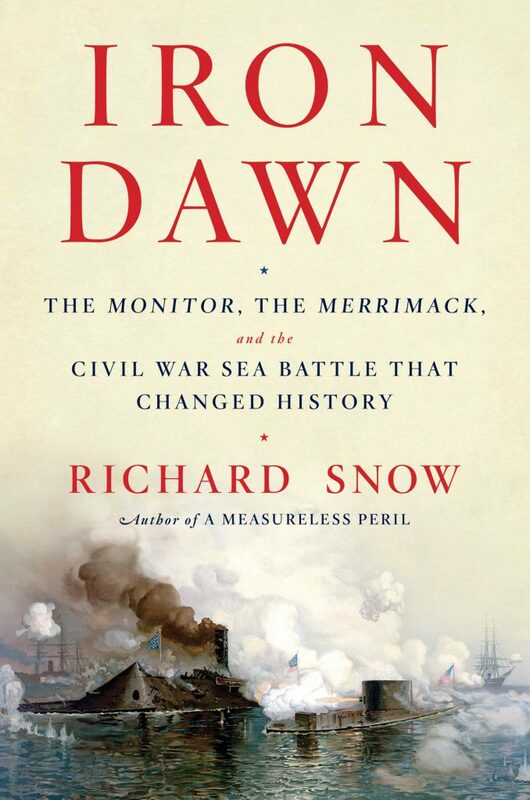 The information they obtained, once in the hands of British intelligence, proved critical toward Allied efforts to defeat the U-boats and win the war. But Damant had become obsessed with completing his long-deferred mission. His team struggled for five more years as it became apparent that the work could only be accomplished by muscle, grit, and persistence. Using newly discovered sources, author Joseph A. Williams provides the first full-length account of the quest for the Laurentic’s gold. 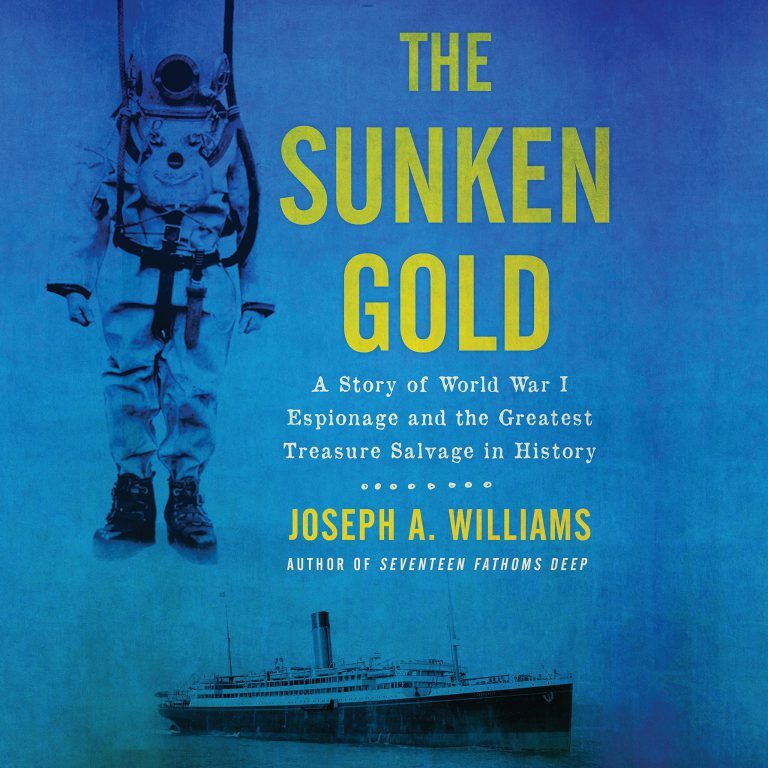 More than an incredible story about undersea diving adventure, The Sunken Gold is a story of human persistence, bravery, and patriotism. Meet us at the Hudson River Maritime Museum in the heart of the historic Rondout waterfront district (at 50 Rondout Landing, Kingston, NY) at 10 AM, with tours of the museum and grounds starting at 10:30 AM. 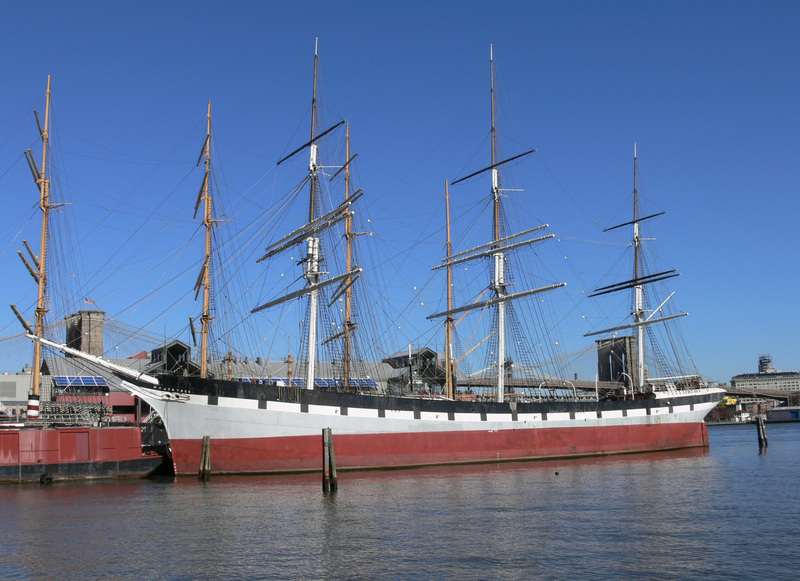 We’ll explore wooden boat building on the Hudson, artisan boat models from the museum’s collection, Hudson River lighthouses past and present, the hands-on replica of the aft cabin of Henry Hudson’s Half Moon, the steam tugboat Mathilda and much more about the area’s industrial, maritime and ecological history. At 12:30 PM we’ll have a sumptuous lunch at the nearby waterfront restaurant Ole Savannah, followed by a 2:30 PM boat tour on the venerable Rip Van Winkle cruise boat. 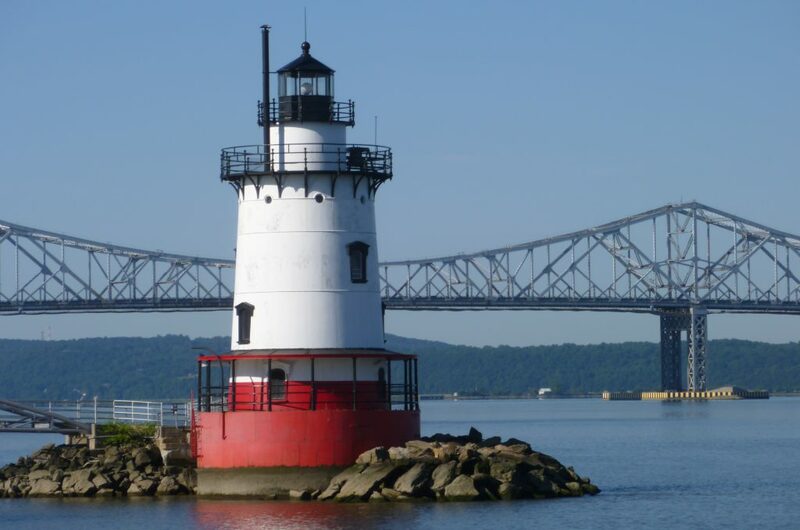 From her decks you will enjoy a clear view of historic Hudson River lighthouses (including the Rondout Lighthouse and the Esopus Meadows Lighthouse), waterfront mansions, and other notable locations on this two-hour sightseeing cruise. The price for this excursion, including museum admission, tours, lunch and sightseeing cruise, is $70. Seating is limited and pre-payment is required, but you may reserve your spot until 7 July by clicking here. To confirm your registration, complete the Registration Payment Form, email nmhs@seahistory.org, or call (914) 737-7878 ext. 0. 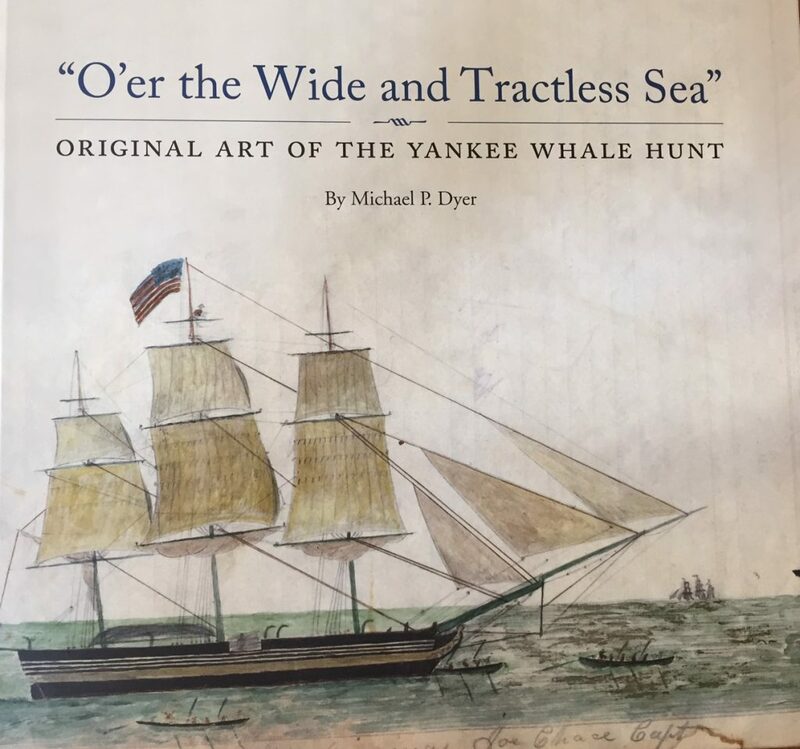 Michael Dyer offers new perspectives on life at sea and maritime culture in his book O’er the Wide and Tractless Sea: Original Art of the Yankee Whale Hunt, featuring over 300 illustrations of whaling scenes, scrimshaw, prints, and paintings. From the 1750s through the first years of the twentieth century, American whaling voyages ranged farther off shore, and ultimately around the world, in a pursuit that produced oil and baleen for the growing population and industrialization of the United States. Buried deep within the logbooks, journals, and manuscripts of America’s whaling heritage are paintings, drawings, and representations of the whale hunt rarely, if ever, seen by the public. The book highlights those unique artworks that capture the essence of whaling and its culture – not just through the whale hunts themselves, but also the important events the whalemen recorded pictorially with their shipmates and the people they encountered in their travels. 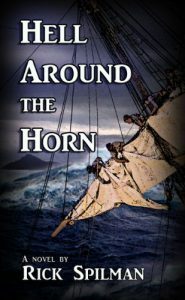 Hell Around the Horn by Author and “Old Salt Blog” Founder and Host Rick Spilman, is a nautical thriller set in the last days of the great age of sail. In 1905, a young ship’s captain and his family set sail on the windjammer, Lady Rebecca, from Cardiff, Wales with a cargo of coal bound for Chile, by way of Cape Horn. 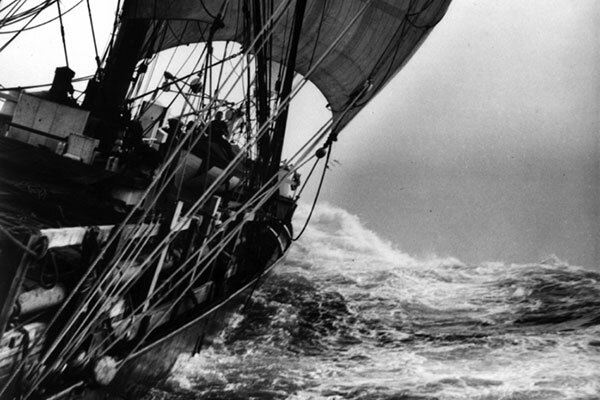 Before they reach the Southern Ocean, the cargo catches fire, the mate threatens mutiny and one of the crew may be going mad, yet the greatest challenge will prove to be surviving the vicious westerly winds and mountainous seas of the worst Cape Horn winter in memory. Though this is a work of fiction it is based on a well documented voyage in the early 1900’s, a period rarely covered, and the descriptions of life aboard are as informative as any non-fiction work without overpowering the reader with superfluous detail. Hell Around the Horn is a story of survival and the human spirit against overwhelming odds. Back by popular demand, Scott Craven returns after his first series on Lighthouses of the Hudson to present the fascinating stories of the six lighthouses of the lower Hudson and New York Harbor: the Ambrose Lightship, the Sandy Hook Light, Jeffrey’s Hook Light (the Little Red Lighthouse) the Lighthouse at Sleepy Hollow, Rockland Lake Light (one of the “lost lighthouses of America,”) and the Stony Point Lighthouse. Scott will discuss the history of each an how they have protected the river and kept commercial traffic flowing smoothly and recreational boaters safe. Scott Craven speaks extensively about a variety of Hudson River topics and teaches local history to teachers at the Ossining Teachers Center. He has an M.S. 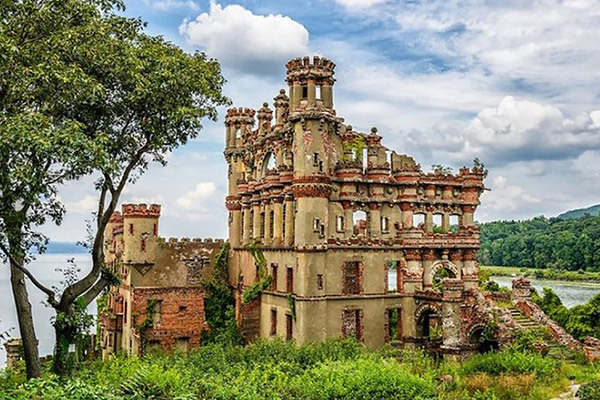 in History and has lived along the banks of the Hudson River his entire life. Location: Cortlandt Yacht Club, 238 Kings Ferry Road, Montrose, NY. and our Seminar Friends Denise Dunn, Linda Hallenbeck, Liam Murphy, John Plotke, John Shanahan, Jane Syracuse, and Karin Wexler. 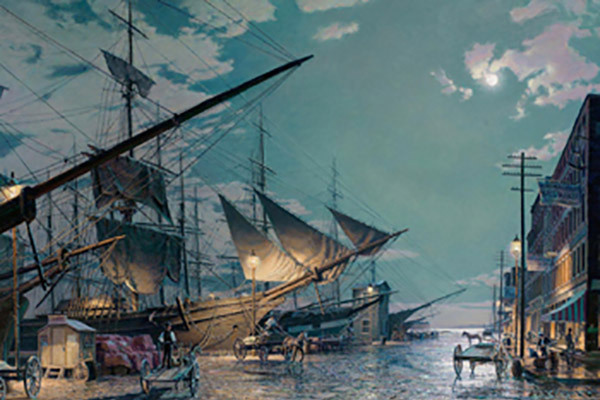 The NMHS Seminar Series was founded in 1992 under the auspices of the National Maritime Historical Society at its headquarters on Charles Point in Peekskill, New York. 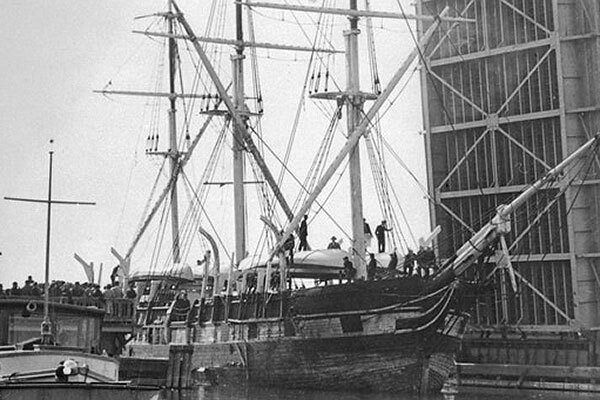 Its mission is to build greater awareness of the rich seafaring heritage of the Hudson River Valley and the world at large, and to create a constituency to advocate for our maritime legacy. Through its monthly lecture series and annual outreach events, the NMHS Seminar Series is actively engaged in promoting maritime heritage, providing valuable educational programs and preserving historic ships and traditional seafaring skills. Since its inception, the Series has organized over 300 lectures, seminars, field trips and ship preservation projects featuring noted authors, historians, film producers and artists to publicize the maritime history of our area and abroad.